Most spectrometers measure the intensity of emitted or transmitted light at a given wavelength; other spectrometers, called mass spectrometers, measure the mass of small charged particles instead. While these functions may make one question whether a spectrometer is practical, both kinds of spectrometers are invaluable tools for chemists and enjoy a wide range of uses in scientific experiments. "Spectrophotometry" is a common experimental technique in chemical and biochemical labs. The absorption of light at a given wavelength is related to solute concentration under Beer's Law, A = ε b C, where "C" is concentration of a solute, "b" is the length of the path the light must travel when it goes through the solution, and "ε" is a constant specific to the solute and wavelength of light used. Adjusting the angle of a prism or diffraction grating selects a specific wavelength of light, which passes through the sample; a detector on the other side measures the intensity of light, and from this you can calculate the absorbance, or "A." Calculating ε can be performed using other solutions of the same substance whose concentration is already known. Spectrophotometer uses in biology vary, but the meters are particularly useful when studying organisms like deep sea fish that produce light naturally. "Infrared spectroscopy" is another useful spectrometric technique. An IR spectrometer passes infrared light through a sample and measures the intensity of transmitted light on the other side. The data is collected by a computer, which prepares a graph showing how much infrared light is absorbed at different wavelengths. Certain patterns of absorption reveal the presence of specific kinds of groups in a molecule. A broad peak in absorption at about 3,300 to 3,500 inverse centimeters, for example, suggests the presence of an alcohol functional group, or "-OH." Different elements and compounds have unique absorption spectra, meaning they absorb electromagnetic radiation at certain wavelengths specific to that compound. The same is true for emission spectra (the wavelengths emitted when the element is heated). These spectra are a little like a fingerprint in the sense that they can be used to identify the element or compound. This technique has a wide variety of uses; astronomers, for example, often analyze emission spectra to determine what kinds of elements are present in faraway stars. Mass spectrometers are very different from other kinds of spectrometers in that they measure the mass of particles, rather than the emission or absorption of light. As a result, a mass spectroscopy experiment tends to be far more abstract than an experiment involving a standard spectrometer that detects the intensity of light. 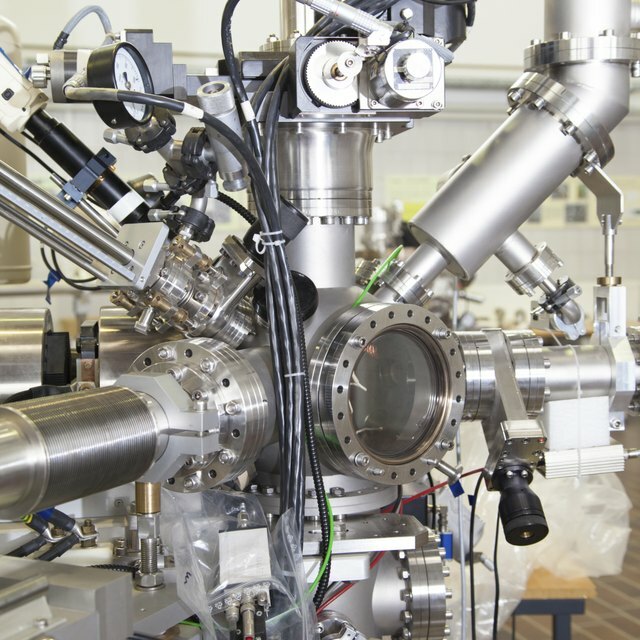 In a mass spectrometer, a compound is vaporized in a volatilization chamber, and a small amount is allowed to leak into a source chamber, where it's struck by a high-energy beam of electrons. This beam of electrons ionizes the compound molecules, removing an electron so the molecules have a positive charge. It will also break some of the molecules up into fragments. The ions and fragments are now propelled from the source chamber by an electric field; from there they pass through a magnetic field. Smaller particles are deflected more than larger ones, so the size of each particle can be determined when it strikes a detector. The resulting mass spectrum offers a chemist valuable clues about the composition and structure of the compound. When new or potentially new compounds are discovered, mass spectrometers are regularly used to discern how the mysterious substance holds together or behaves. Mass spectrometers are also used to research soil and stone samples taken from space. Brennan, John. "Spectrometer Experiments." 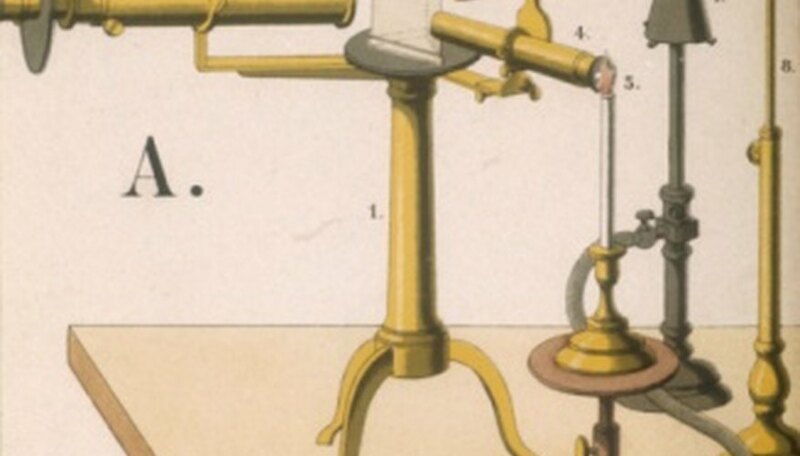 Sciencing, https://sciencing.com/spectrometer-experiments-8080239.html. 25 October 2018.